Boutique 18-room mid century style hotel on the beach. Upstairs from "Eddies Grub House" Coolangatta's best live music dive bar and burger joint. King size bed, ensuite, bar, neon and wall art. 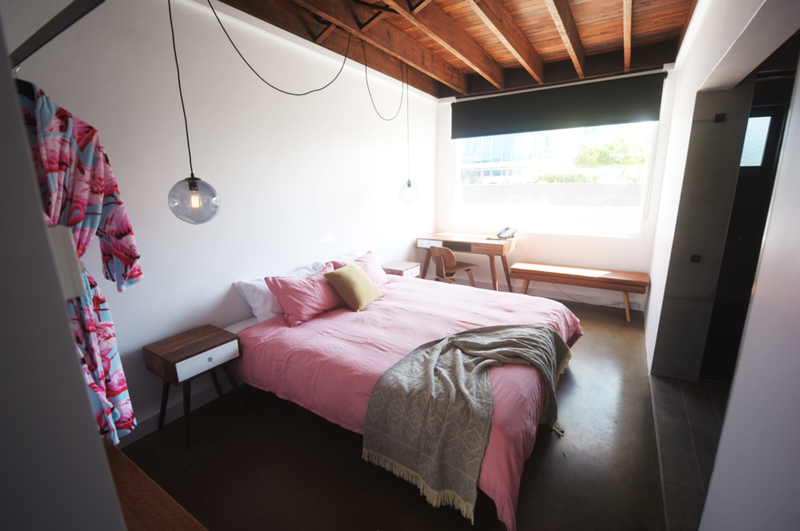 Bedroom with King Size bed, Lounge room with Sofa that can be folded into an etxra bed, bar, neon and wall art, exposed timber ceilings or ocean views.